Besides, we all need a little pampering now and then…………………..
and then add a touch more water if needed. This should make it less runny and easier to apply. As it went on, it was still fizzing. Then it stopped as the reaction wound down and the paste started to dry. A note on this – it will go powdery and fall off. 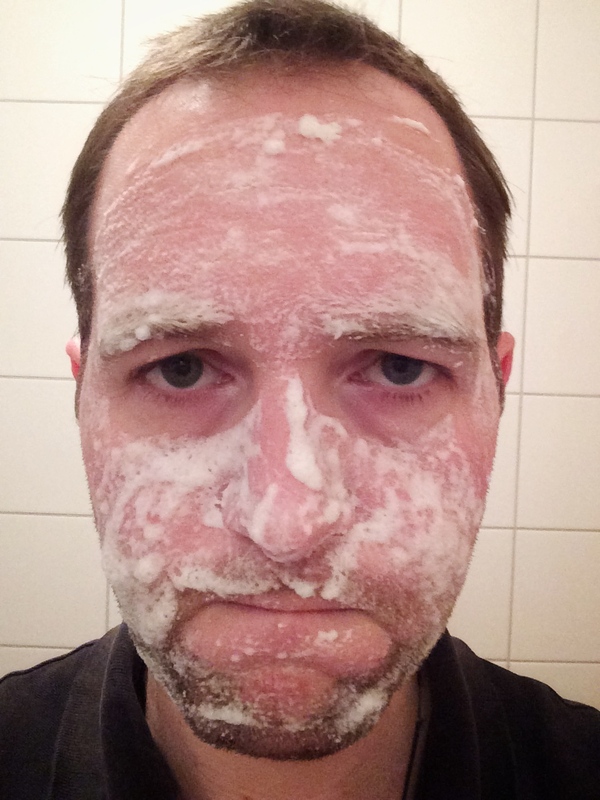 Try not to move your face and take care when removing it, or you’ll give everything a lovely layer of dust. After the 5 minutes (I had some teabags on my eyes, for some extra pampering) I washed it off. My skin felt a little tight, which is to be expected – many people do not use good old fashioned soap because our skin has a pH of around 5.5 and using an alkaline product will have an impact. This mixture is going to cause some tightness (far more than any soaps I have made, by the way – lye based soap when made well is no problem for our skin) but it passes. I rubbed a little bit of home made toner on which caused a moment of pain (the toner is acidic, the mask was alkaline, so my skin was hosting a battle) but this also passed. The result? I am pleased. Yes, it is not so easy to apply (less water should help) and it is not overly robust, but it was simple and very effective. My skin was a lot clearer and my pores well cleaned. 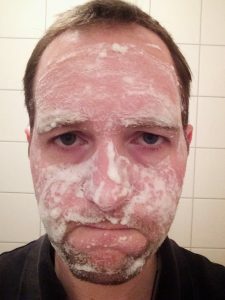 Not completely, but then I have not used any product other than soap once a day at night and a wet washcloth in the morning for washing my face in a very long time, so a deep cleanse was overdue. All in all, I would recommend this method, especially if you want something quick but effective. There might be better results from other recipes (we will see), but this IS quick and does a good job. I will keep doing this twice a week for a while, in order to see how it works longer term, and keep you updated. If you try this out, or if you have any particular recipe you want me to test, please do take a moment to let me know. Now, that’s enough pampering for one day…………………………….